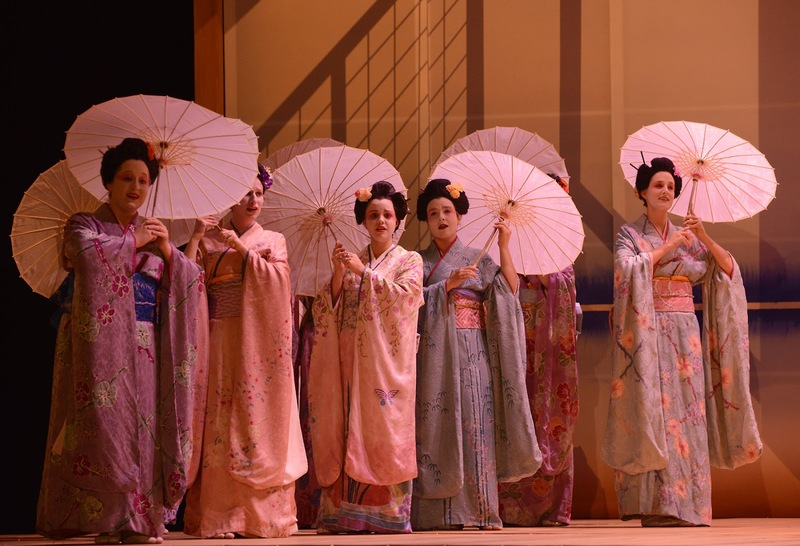 Boston Lyric Opera chose to add a unique opening scene to the original written piece of Madama Butterfly in order to provide a glimpse into the background of Butterfly’s father’s death. In this scene, a performer in traditional Kabuki mask portrays the act of seppuku, a Japanese tradition of ritual suicide reserved for Samurai. The performer uses a Kabuki fan to represent a knife, and upon completion of the act, opens the fan to reveal bright red fabric, signifying death. Through his mask, the performer was able to see the conductor for his cue to match his action to the orchestra. The visual elements of the scene included dramatic lighting, a blue scrim in front of the artist, and a split black drop of overlapping curtains behind him for his exit. The blue scrim was used to convey depth, or a foggy look, as if to suggest a memory. This was the intention for later scenes as well, such as the flash forward to Sorrow’s birthday in Chicago. A scrim is often used in the theater for a variety of effects, and the fabric is an open weave, which appears translucent or opaque depending on which side it is lit from. 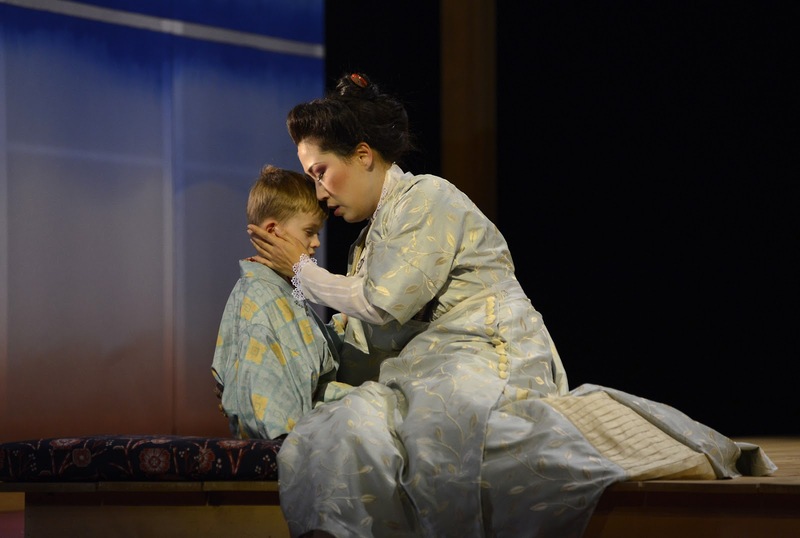 For Butterfly we took advantage of both options: translucent for the opening scene and flash forward, and opaque during the interlude between the written Act II and III when the audience watched a sunrise on the front of the scrim. There are a few types of scrim which are classified by the openness or tightness of the weave and are known as Sharkstooth, Filled Sharkstooth, Bobbinette, and Gauze. BLO would like to thank everyone who participated in this BLO Exposed event and for continuing the conversation with us post-performance here and on our social media pages! To have your questions featured here in the future, join us at a Wednesday night performance of Così Fan Tutte or The Flying Dutchman for BLO Exposed.